2013 Silver Needle White Tea is entering the market. TeaVivre brings you the first flush Silver Needle White Tea for white tea lover all over the world. TeaVivre pays attention to different demands of customers. We keep enriching our product line with various kinds of teas. As the 2013 new Silver Needle White Tea is produced, we bring you the pre-ming picked Silver Needle White Tea on TeaVivre. This white tea is at more favorable price. We recommend it to white tea lovers, as well as light tea drinkers. Our Silver Needle White Tea (Bai Hao Yin Zhen) comes from Fuding County in Fujian Province. It is the original place of Chinese White Tea. The unique and advantaged climate and environment produces this special fragrant Silver Needle White Tea, manifesting the charm of Jiangnan. Sit in a small Jiangnan town and take a sip of the brisk and delicate tea is such a pleasant and nice experience. This year’s new Organic Silver Needle White Tea (Bai Hao Yin Zhen) is picked turn by turn. So we will keep updating newly produced Organic Silver Needle, which has thick and straight buds covered with pekoes. The strong aroma of white tea will let you feel refreshing. 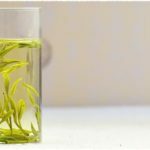 Why There Are Silver Needle White Teas of Different Appearance? The making of tea is extremely strict, which is restricted by several factors that will influence the appearance of white tea. It can be seen from the thickness of organic tea buds that the more organic matters are absorbed during the growing, the thicker and stronger the buds will be. This kind of tea buds and leaves is more nutritious. The Organic Silver Needle White Tea can reveal the strict process both for planting and producing. The tea trees are grown in organic tea gardens without using of fertilizer. TeaVivre has visited the organic tea garden, which indeed has high planting standard. We have compared the appearance of different kinds of Silver Needle White Tea. Though the Silver Needle with smaller buds is less pretty in appearance, the quality of this kind has no difference from larger buds white tea (not refers to large-leaf specie teas). Smaller buds and leaves even have stronger aroma. 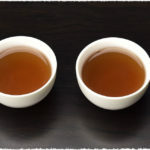 Therefore even if its flavor differs from larger buds white tea, it doesn’t mean that the smaller buds white tea is of lower quality than larger buds white tea. The influence of weather on white tea trees mainly performs in the changing of temperature. In hotter weather the white tea trees will grow faster. Then the process of buds turning into tea leaves will be shortened. In this occasion tea farmers must pick the tea buds and leaves faster. But inevitably there will be more leaves picked than usual. So after produced, the tea contains more leaves than the teas picked under cool weather condition. Yet its flavor is not much affected. 1. Put the tea in dry and airy place away from sunshine for one or two weeks. After the heavy roast flavor fades away, you can brew the tea with the recommended brewing guide of TeaVivre. 2. 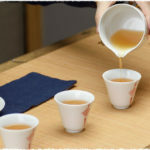 If you want to drink the tea as soon as you get it, you can brew it with water of lower temperature than the recommended temperature, in the mean time shorten the infusion time. In this way you can adjust the tea’s flavor to be more like the normal flavor.